Today you are going to learn some important technology "Tips and Tricks"! 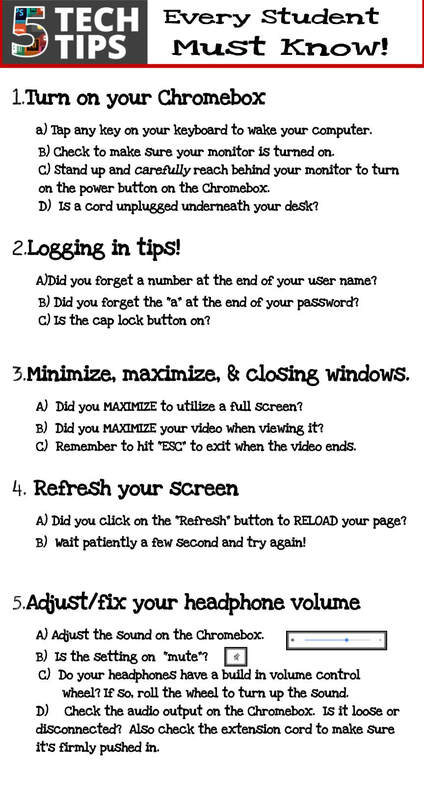 It's important that you learn and master these "troubleshooting" techniques to help your success in the computer lab! Listen to the video closely and after we will review what you have learned! All students are expected to know the 5 main Tech Tips/Tricks explained in detail in today's lesson!